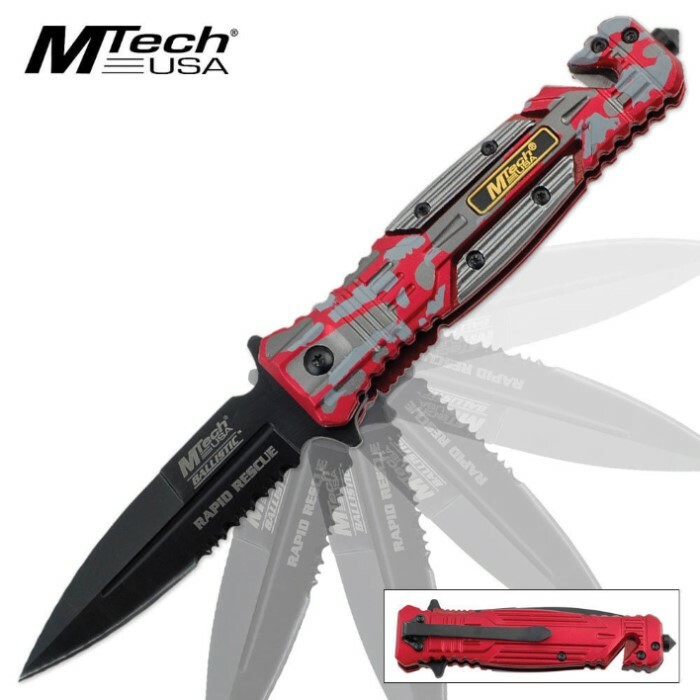 MTech Ballistic 800 Assisted Open Spear Point Folding Pocket Knife Red Camo | BUDK.com - Knives & Swords At The Lowest Prices! The MTech Ballistic 800 assisted-opening folding pocket knife will astonish you with its speed. 440 stainless steel blade features a non-reflective black blade coating. It's razor sharp with a piercing point and partially serrated edge. The red camo machined aluminum handle features a glass break spike and belt cutter, making this an excellent choice for a rescue knife. Clip it to your pocket with pocket clip.